With just two projects on my Q2 Finish-A-Long list, one with a deadline and the other a bee commitment, I was pretty sure I'd get them both done with time to spare. 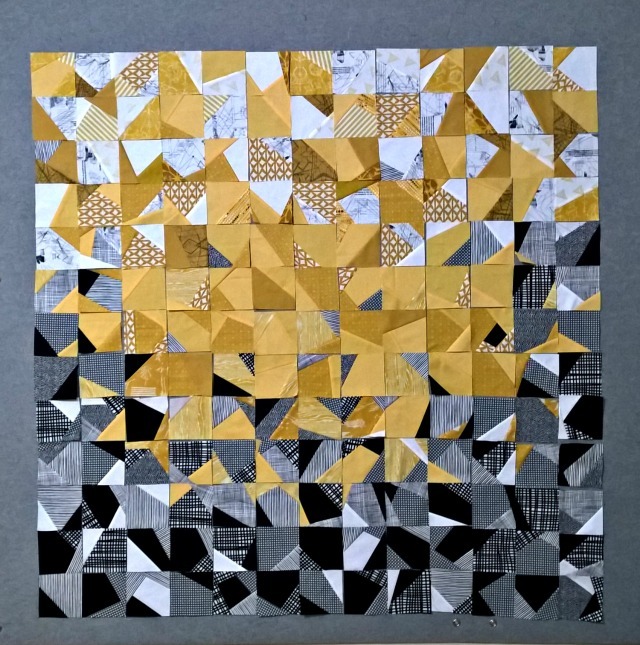 The first was a stitch and flip quilt that was made for a Black & White + One challenge, and is still awaiting the show it was made for. Considering I 'built' it on the design wall one block at a time, this one took a while, but it was really an enjoyable process. The other project on the list was February's Faith Circle quilt. 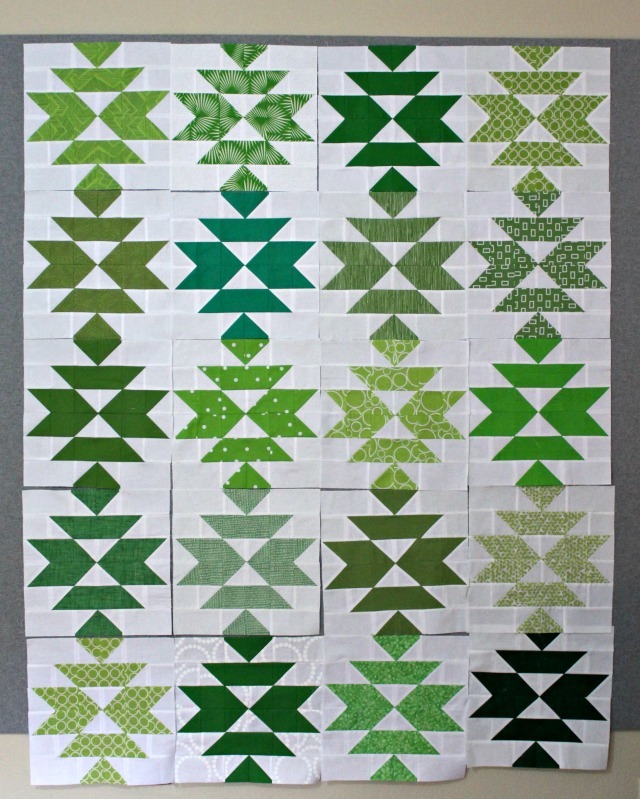 Inspired by Greenery, the Pantone Color of the Year, we used Jodi/Tales of Cloth's Squash Blossom block tutorial, which became a favorite for sure. 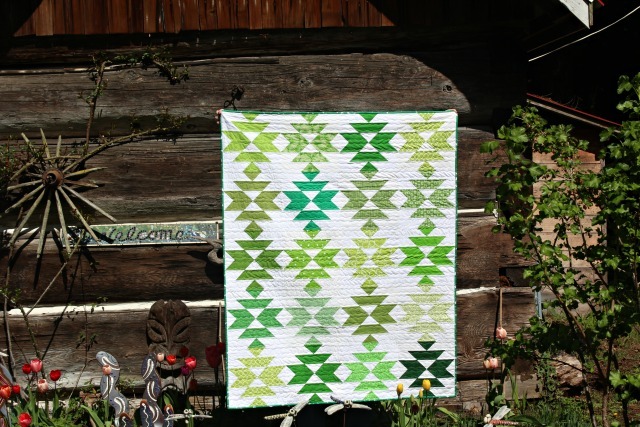 The mix of greens really made for a striking quilt. So yay! Refiner's Fire is in Minnesota for the upcoming show, and All the Greens has been donated to Valley Breast Center locally. I feel good about all that. You make many beautiful quilts, but I guess it is still hard to give one of them away. But you say it made you feel good, so everything is okay in the end. Beautiful! I look forward to hearing how the show goes (and some photos of Refiner's Fire on display), and it always makes me feel good to drop of a quilt for donation. These two quilts are beautiful!! Love them both!! I love your green one, so pretty. Which show is it in? Congratulations on both your beautiful finishes! Now to think about that Q3 list. 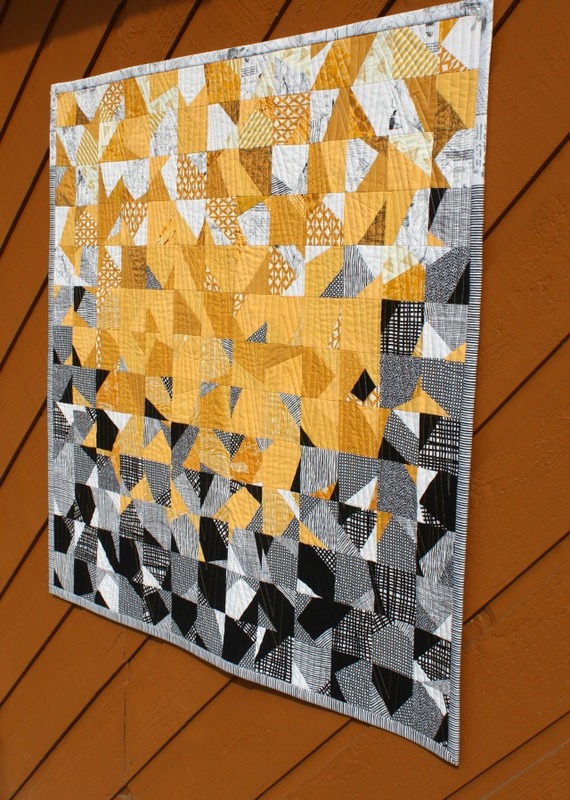 Wow, two beautiful quilts and a 100% on the FAL... Congrats!